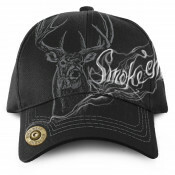 Show 'em who you are in our "Smoke Deer" tee. Made of 100% cotton, this tee provides the softness you crave, while the taped neck and shoulder seams offer premium durability. Chest is measured 1" below armhole and is the width of the shirt. Height is measured in the front from the highest point of the shoulder. 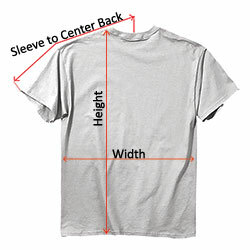 Sleeve Length is measured from the center of the collar to end of sleeve.